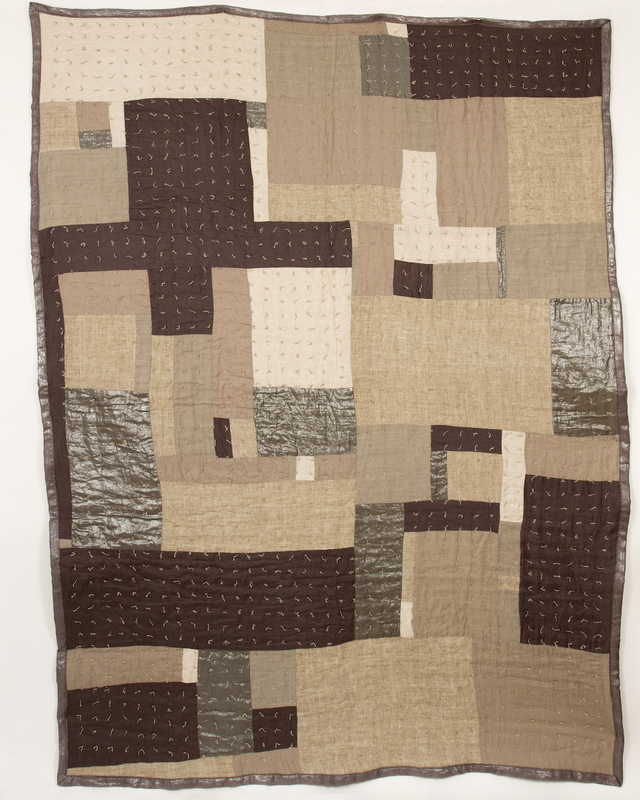 This quilt is pieced by hand, made without a pattern, composed organically. It is made entirely of second-hand materials, with facing, backing and edging in linen, and batting made from recycled bottles. Finished by hand with linen ties. Measures 72 by 64 inches.